Tunis: Tunisia’s biggest union, UGTT, started a nationwide strike on Thursday affecting the country’s airports, schools and state media to protest against the government’s refusal to raise the salaries of 670,000 public servants. Tunisia is under pressure from the International Monetary Fund to freeze public sector wages as part of reforms to help reduce the country’s budget deficit. International lenders have threatened to stop financing the economy, which has been in crisis since the toppling of President Zine Al Abidine Bin Ali in 2011. 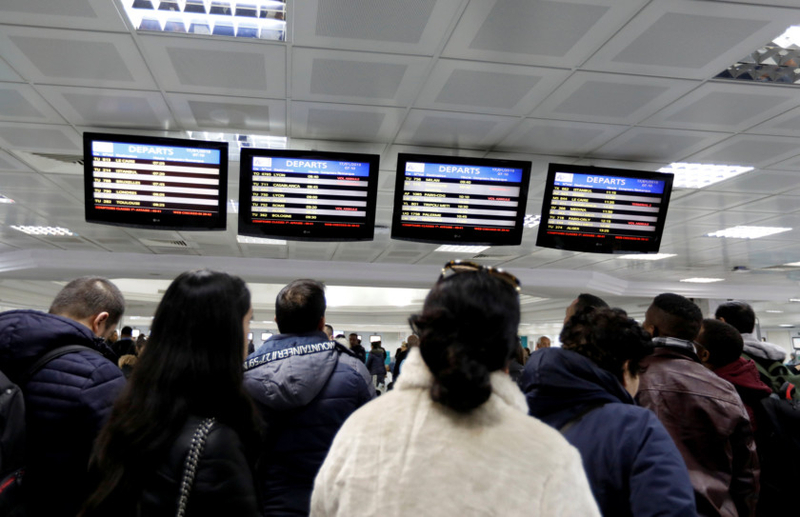 Tunisia’s state-owned airline Tunisair expects major disruptions to its flight schedule due to the strike and urged customers to change bookings, it said, adding that at least 16 flights will be postponed. Chahed said the strike will be very expensive but the government could not raise wages disproportionately to the state’s ability to afford it. Sami Tahri, Deputy Secretary-General of the UGTT, said the government had come under the dictates of the IMF and had chosen the difficult solution of confrontation with public servants. Government and union sources told Reuters that the government had proposed spending about $400 million on pay rises whereas the UGTT had asked for about $850 million. Tunisia struck a deal with the IMF in December 2016 for a loan programme worth around $2.8 billion to overhaul its ailing economy with steps to cut chronic deficits and trim bloated public services, but progress has been slow. Tunisia’s economy has been in crisis since the toppling of autocrat Bin Ali threw it into turmoil, with unemployment and inflation shooting up. The government aims to cut the public sector wage bill to 12.5 per cent of gross domestic product in 2020 from the current 15.5 percent, one of the world’s highest levels according to the IMF.